End of Year Giving | Double Your Impact! 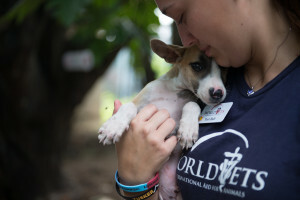 On #GivingTuesday (Nov 28) World Vets launched our Year-End Fund drive! We are thrilled to share that for the third year in a row, we have received a matching donation challenge from the Maria Norbury Foundation! That means that EVERY dollar donated up to $15,000 starting NOW will be matched. Join the effort through a tax-deductible gift to World Vets. 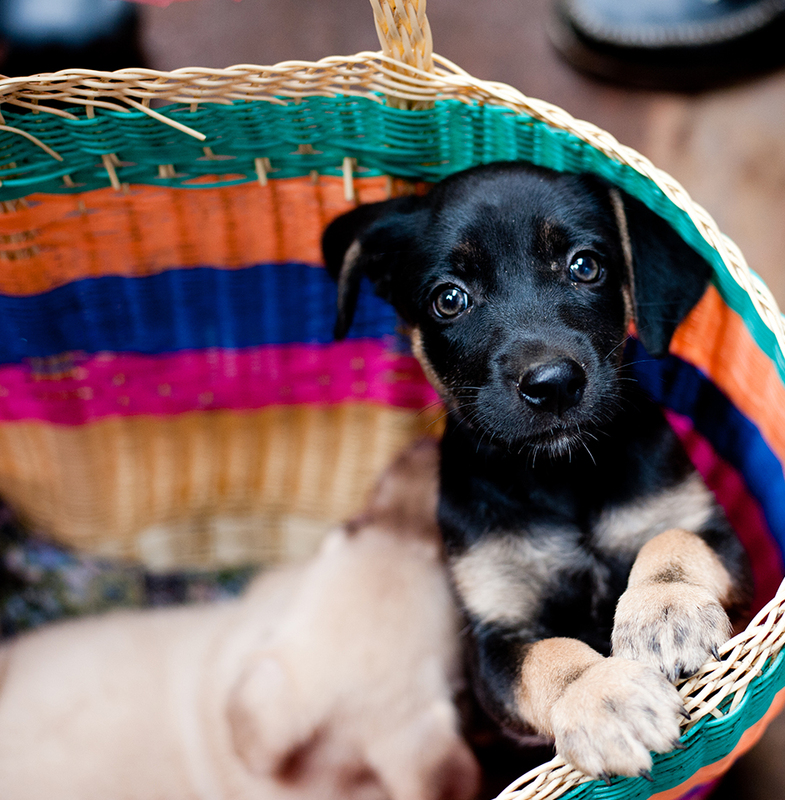 Simply click “donate now” below to make a secure contribution and DOUBLE your impact for animals in need. 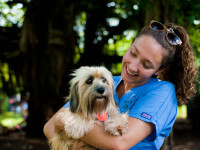 Every year World Vets provides direct care for thousands of animals in need. We are very thankful to our supporters, donors and volunteers who make our work possible. 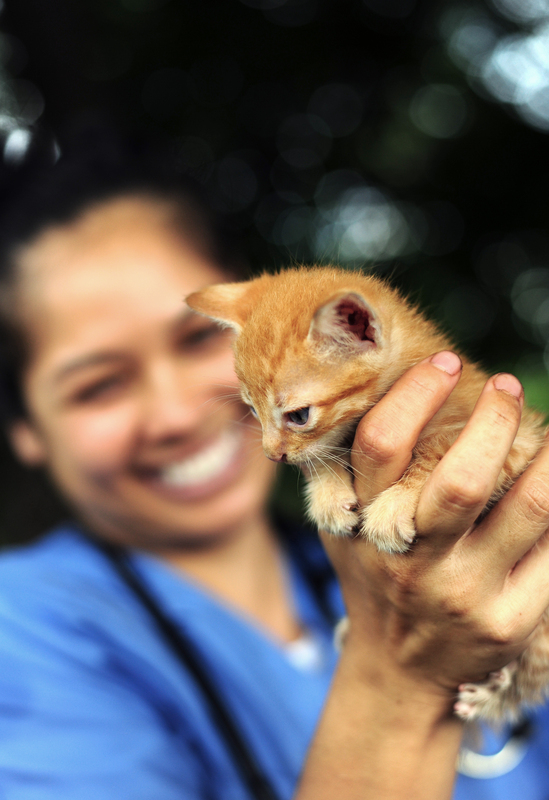 With your help, thousands of animals that would otherwise not have access to veterinary care are now getting the lifesaving support they need. At the same time, we are working to improve the capacity of developing nations to better care for their animals for a healthier future. Thanks to all who support World Vets important work around the world. 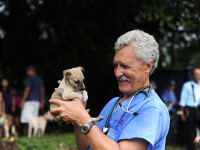 With your help, World Vets can raise a tremendous amount of financial support to benefit our mission. If you’ve been meaning to make a contribution, now’s the time! World Vets is a registered 501c(3) Non Government Organization. All donations are tax dedicate. Today is #Giving Tuesday, a ONE day global philanthropic effort that provides you the opportunity to give back & inspires people to take collaborative action to help create a better world. We are thrilled to share that for the second year in a row, we have received a matching donation challenge from the Maria Norbury Foundation! That means that EVERY dollar you donate up to $15,000 starting today will be matched. Join the effort through your tax-deductible gift to to World Vets this #Giving Tuesday! It’s easy. Click “donate” below! World Vets is a registered 501c(3) Non Government Organization. MARK YOUR CALENDARS: On Nov 28th World Vets will once again be participating in #GivingTuesday, a national movement to encourage spending with a purpose. Not only that, but we are thrilled to announce that the Maria Norbury Foundation has graciously offered a $15,000 end of year matching donation challenge starting Giving Tuesday. This means that EVERY dollar you donate up to $15,000 starting this #GivingTuesday will be matched! Save the date to support World Vets and your support can go twice as far. 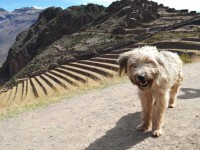 With your help, we can raise a tremendous amount of financial support to benefit our mission to help animals around the globe. Save the Date to Donate to World Vets this #GivingTuesday! 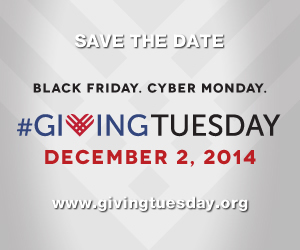 Announcement: Taking place December 2, 2014 – the Tuesday after Thanksgiving – World Vets will be joining the national #GivingTuesday movement to encourage spending with a purpose. #GivingTuesday inspires people to take collaborative action to improve their communities, give back in better, smarter ways to the charities and causes they support and help create a better world. Save the date to donate to World Vets this #GivingTuesday! 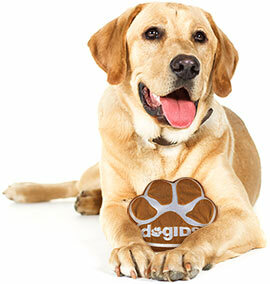 World Vets is excited to announce our new partnership with fellow Fargo-based company dogIDs. We look forward to this new venture and are proud to be partnering with an organization that guarantees high quality and safe products for pets. World Vets would like to THANK YOU FOR YOUR SUPPORT ON GIVING HEARTS DAY. 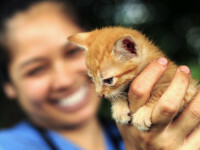 We raised over $8,000 in 24 hrs to help provide aid to animals who would otherwise have no care! We will have results soon on if we received donations from the most U.S. states, which would provide us with an additional $500 in funds. Your gift is already at work making a difference. We are grateful to have such compassionate and caring supporters. Thank you! Love, the World Vets Team. If you did not make it in time to donate on GHD and want to make a contribution, you may still donate to our general donation page here! Have you seen World Vets TED Talk? 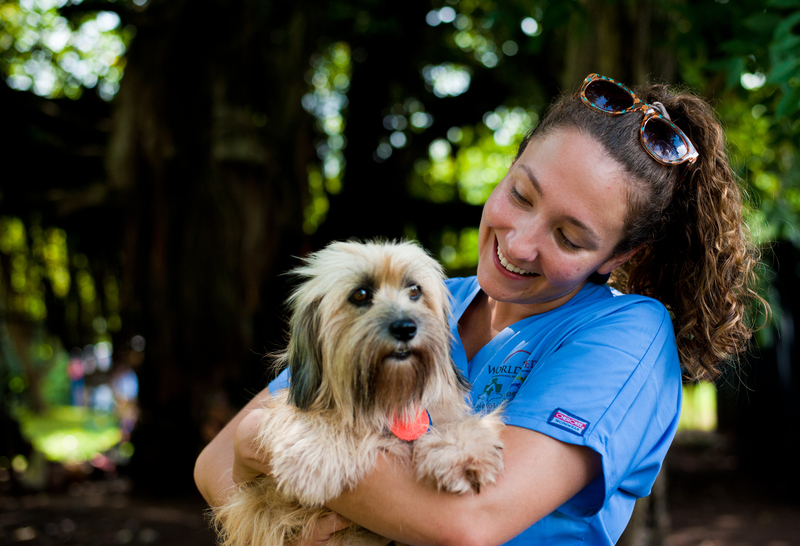 In a recent TED talk, World Vets CEO Dr Cathy King discusses the worldwide street dog problem and how World Vets is making a difference. It also provides an overview of the scope of World Vets work and programs. 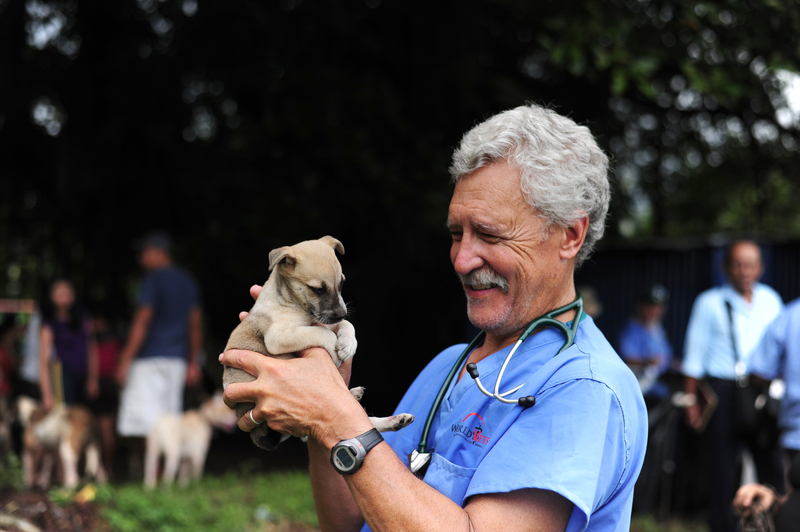 Although World Vets work is primarily operated in foreign countries, we take pride in helping the local Fargo ND/Moorhead MN community where our headquarters are based. 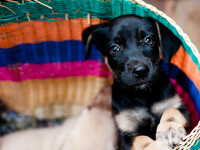 Just recently World Vets made two substantial donations to 4 Luv of Dog Rescue and the Human Society Fargo – Moorhead. To celebrate the opening of their new facility in Moorhead, MN, W orld Vets delivered supplies to 4 Luv of Dog Rescue valued at $2,097. The donation shipment included more than 500 lbs. 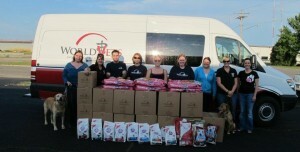 of dog food to help the animals at their new facility and in foster homes. 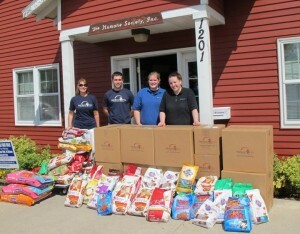 Additionally, the veterinary supplies and cat and dog food donated to the Humane Society was valued at $5,800. We believe every little bit goes a long way and will continue to support the local animal welfare charities in our community. © 2019 World Vets. All Rights Reserved.